The Sustainability Management Advisory Committee and Green Raiders host annual events centered around sustainability, going green, recycling, and more. Learn more about these annual events and additional events below. Beginning in the Fall of 2015, the Green Raiders conduct Sustainability Sessions as part of Freshman Orientation. Incoming students participate in a Campus Sustainability Tour, Recycling Relay Race, and Water Taste Test Challenge in an effort to educate them about sustainability initiatives on campus. Check out their video on how to live sustainably in a dorm room here. The GameDay Recycling Challenge is a nationwide competition among universities to reduce and recycle the waste generated at home football games. During each competition cycle, participating schools report recycling, compost, and attendance data for at least one home football game. The University of Mount Union has been participating in Game Day Challenge since 2012. Transportation Challenge (staff and faculty only): Walk, bike, or carpool to and/or from work to be entered to win a FitBit. Bag Monster Campaign: Take a selfie with the Bag Monster and post on Twitter or Instagram to receive a free reusable bag. Eco Challenge: EcoChallenge gives you the tools and inspiration to reduce your impact on the planet and contribute to a healthy, vibrant, and sustainable future, all while engaging the people in your life and having fun in the process. Choose a challenge that stretches your comfort zone, stick with it for two weeks, and make a difference for you, your community, and the planet! Wellness Trail Walk: A SMAC and Healthy Campus co-sponsored event. Start in front of the MAAC, walk the wellness trail, and be entered to win prizes. Engergy Vampire Raffles: The Green Raiders sell raffle tickets for sustainable "Smart Strip" gift baskets while educating the campus community on the "Energy Vampires" that consume our electricity. Lunch and Learn - Sustainability in our Daily Lives: Learn about the steps you can take in your everyday life to be more sustainable. Simple measures can go a long way in reducing your environmental impact and making this planet a clean and safe place. Green Cleaning Workshop: This program introduces "Green Cleaning." Learn about the best natural home products to use for cleaning your entire house. Green cleaning is better for your health, wallet, and the environment. Relax and DeStress Event: Everyone needs to manage their stress. Take advantage of some relaxing activities such as a free 10-minute shoulder massage, a stroll through the peaceful woods, walk the labyrinth, relax by the pond, listen to live music, and more. 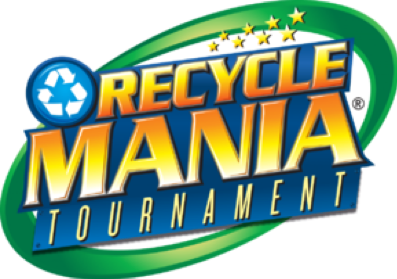 RecycleMania is a friendly competition among college and university recycling programs in North America and Canada. During an eight-week period each spring, schools compete to reduce waste, increase recycling, and raise awareness of conservation issues across campus. Mount Union has been competing in RecycleMania since 2008. Earth Hour is a worldwide grassroots movement organized by the World Wildlife Fund (WWF) as a way to unite people to protect the planet. Engaging a massive mainstream community on a broad range of environmental issues, Earth Hour was famously started as a lights-off event in Sydney, Australia in 2007. The Green Raiders sponsor an Earth Hour ech year.